Should We Be Cleaning Up At The Doctor’s Office? Would you go on a corner and when you come across a stranger, ask them to hand you their shirt or jacket, put your left arm in and squeeze your arm with your right hand for a few seconds and release, then take the shirt or jacket off and continue this with every stranger you come across for the next year? No? Sounds crazy doesn’t it? Not only that, but it’s so unhygienic. You know nothing about any of those people, about their hygiene, or if they have any contagious skin conditions or diseases. It’s absolute madness, right? Why then, when we go to a doctor’s office, a lab or hospital, we are willingly expected to roll up our sleeves and allow the nurse to place the blood pressure monitor cuff on our arm to take our pressure? When was the last time you think that was arm cuff was cleaned off? Well, if you ever go the doctor behind me, it’s pretty clean. Well, clean considering how long it’s been hanging there on the hook with the remnants of hundreds of people before you festering on its surface. Yes, I am a bit of a germ-a-phobe, and really I don’t care. When I go anywhere and they are about to take my blood pressure, I ask them to clean it off. Sure I get looked at as if I am crazy, as if I am obsessive compulsive, but honestly, I don’t give a damn what these nurses or doctors think of me. It’s my body and my health that I need to protect. When your immune system is compromised with drugs, one can’t really take any chances. So I am starting to walk to the doctor’s office and labs that need to take my blood pressure with my packet of antibacterial wipes and I will wipe it off myself if they don’t want to. I have way too much stuff going on in my body to contract some skin disease left by the person before me. I may be sounding like a paranoid germaphobe, but here are some examples of some highly contagious skin diseases. Scabies is a contagious skin condition passed via the Sarcoptes scabiei mite. Symptoms of scabies include excessive itching–especially at night–and track-like marks on your skin. According to the Mayo Clinic, these tracks typically appear in the skin folds of your buttocks, breasts, knees and armpits. It can also be found on your waist, elbows and between your fingers. 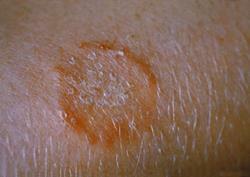 Scabies can be acquired through close contact with infected persons. You can also get it by sharing clothes and bedsheets. 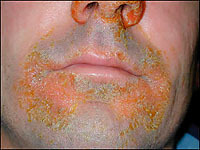 Impetigo is another common contagious skin condition. Impetigo symptoms include pus-filled blisters that can ooze yellow fluid, a rash and skin lesions on your face, legs, arms and lips. Impetigo is contagious because the pus and fluid contain the infection. If you happen to touch it, you can get impetigo. 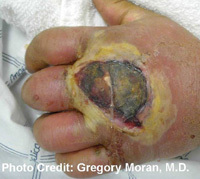 MRSA, also known as the flesh-eating bacteria, is spread by contact. So you could get MRSA by touching another person who has it on the skin. Or you could get it by touching objects that have the bacteria on them. MRSA is carried, or “colonized,” by about 1% of the population, although most of them aren’t infected. MRSA infections are common among people who have weak immune systems and are in hospitals, nursing homes, and other heath care centers. Rates of infection in hospitals, especially intensive care units, are rising throughout the world. In U.S. hospitals, MRSA causes more than 60% of staph infections. I read your blog regarding the hygiene issues at Doctors offices. Everything you had to say makes perfect sense! Equipment used on other patients never sterlized or at least cleaned. Yes they wash their hands or wear gloves that does help them but not us. Here is something else to talk about! What about the seating area. Most everyone is picking up a magazine to read. Sitting on chairs that maybe someone before you has a real infectious disease. Scabies is transferred at Doctors office waiting rooms consistantly. Remedy! Bring your own chair to sit in and things to read. You just might be healthier for it! Please visit my blog when you get a chance. We are giving away our Scabie Help E-book for FREE at this time to help in this very bad economy. Please feel free to pass this on to others that are in need. Thanks for the comment. Actually, I try not to sit when in the waiting room at the doctor’s office, and I bring my Kindle with me too. If I do sit, as soon as I reach home I dump my clothes in the washer! I may be sounding paranoid to some, but I am healthier for it. I have recently refused to have my blood pressure taken at a few doctor’s offices and the response from the staff is that they are dumbfounded. They don’t comprehend that I am trying to prevent others from becoming contaminated from whatever skin parasite that is eating on me. They act as if they don’t quite comprehend even after they are given an explanation. The intake rules say to take the patient’s blood pressure. They cannot imagine that there is a good and reasonable exception to every rule—in other words, these people do not think independently nor do they exercise common sense. BTW—The medical community has expressed no compassion for living with this condition. If they did, they wouldn’t give me a referral appointment to a dermatologist that is 3 months out. It’s an uphill battle, but if enough people are more conscientious about their own health and requested that the pressure bands and tourniquet for taking blood samples were cleaned, them it would eventually become common place. The nurses apparently need to only follow protocol, and not use their common sense. I was visiting this site replying to a reply of a reply and I thought I’d address this topic while I was here. You make some salient points about spread of disease at the doctor’s office from equipment. This is called cross-infection. 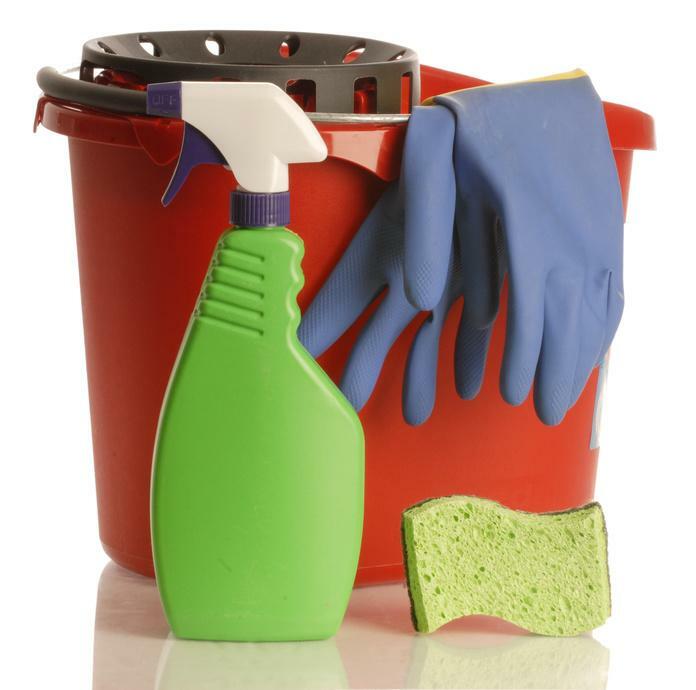 You’ll find that in acute hospitals all non-invasive equipment (that is everything that doesn’t penetrate) is routinely wiped with disinfectant between patients. All invasive equipment is, of course, sterilised. The doctor’s surgery (or the triage dept in a hospital) is a little different mainly due to lesser acuity and the time/cost/inconvenience of disinfecting between patients. They should disinfect cuffs etc between patients at your doctor’s surgery but probably don’t. The upside is that unless you have an immune insufficiency or are exposed to a particularly virulent bug you probably won’t get sick. As exciting as your photos (above) are, you probably won’t get a raging case of impetigo at the doctors surgery unless you kiss a patient with it. You certainly won’t get ‘flesh-eating bug’ (necrotising fascitis) unless you gather up a good dose of the bacteria and inoculate yourself with it by giving yourself a deep puncture wound. You could possibly get ringworm, i guess, if it’s a particularly virulent type, but the nurse/doctor would have to take a BP on a patient over their ringworm first and then not wash the cuff…. and you would have to be still quite unlucky. So my point is: yes you may get some horribly disfiguring disease from the doctor’s surgery but you probably won’t… in fact it is extremely rare. You are more likely to be harmed by a medication or diagnostic error. Or worse: you are much more likely to be harmed in an acute hospital where ‘superbugs’ and mistakes from staff are vastly more injurious. Even worse: you are far more likely to be harmed or disfigured by almost any other activity that you engage in, such as driving. The biggest risk to all the contributors that I see in this article is not from rampant diseases but from fear. Thank you for sharing your thoughts on this topic. I recently contracted ringworm on my upper left arm from a blood pressure cuff. I am going through a divorce and need the money from “donating” my plasma, and am so grossed out by how disgusting the plasma center is. I practice excellent personal hygiene, but can tell you by the way it smells in the center, not everyone does. It is okay to insist on being sanitary, if the doctor or nurse looks at you like you are bananas, they are not doing their job correctly. It is still so sad that we need to make sure if these things, isn’t it?